Grand Am - Crazy Daytona 2012 Photo Finish in Both GT and ST Classes! This is one of the reasons why Grand Am is the best road racing series on TV! A DREAM, an EMOTION, a VISION Captured in This Stunning NSX Video!! NOTE: FIND SIX MINUTES OF UNINTERRUPTED TIME TO WATCH THIS VIDEO AND CRANK UP THE VOLUME. HELROT? Hell, Yeah! How About a Corral and a Parade Lap, E30///M3 Guys? The Honored Guest at the 2012 Lime Rock Historics will be Sir Stirling Moss! The event is unique in the U.S. for being the only one featuring three days of on-track racing and a prestigious concours event at the same venue. There are some incredible cars at the Historics that can only be seen at this festival - check my offer to buy an extremely rare Bugatti Type 35 at the event. This year's Historic Festival is also the 30-year anniversary and it's shaping up to be bigger than ever with more than 300 vintage race cars expected to fill the grounds. Also, there will be a very exciting Formula 1 Race Group on Saturday and Monday featuring incredible F1 cars from the 1966 - 1983 period. Here's a very cool autocross video that will get you right in the middle of the action. This is another example of the fantastic talent available from the good folks at BMW CCA Boston! 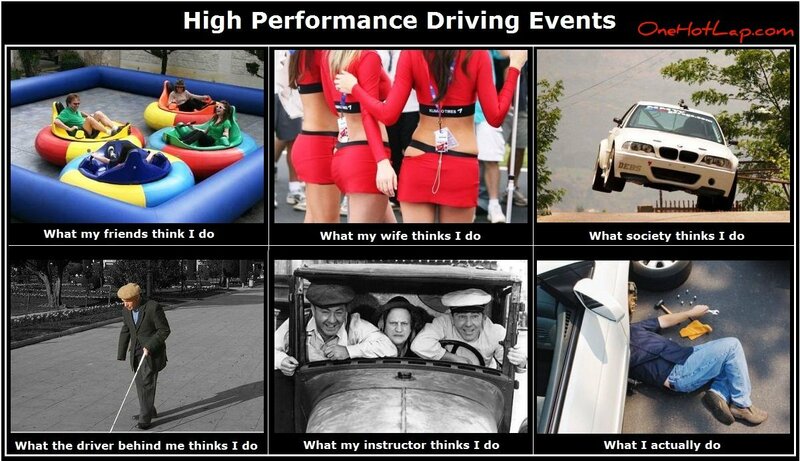 Here's a fantastic video introduction to what performance driving is all about. 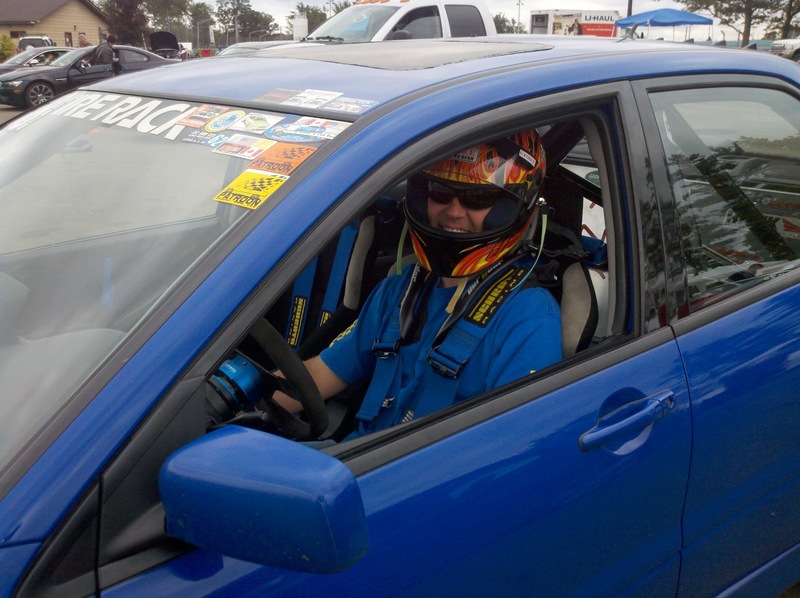 It follows novice Philip Cognetta, who is new to the sport, through the advanced driving skills academy, autocross, and track driving events put together by the Boston BMW Car Club of America. Boston BMWCCA / Novice Introduction Video from Veloz Media. Does the wing extend into a full-size tent? I may have to revisit the running list of Top 10 Things to Bring to the Track after watching this video. 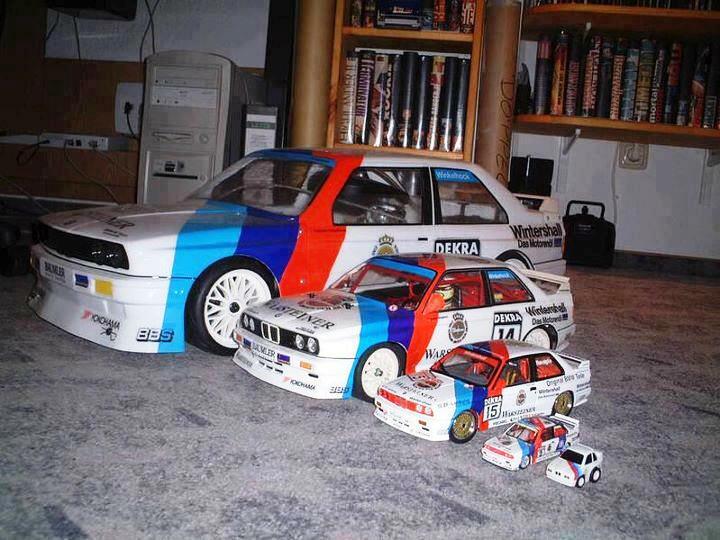 There will always be only one REAL M3 and every car enthusiast knows that's the E30 M3. The E30 M3 is one of the most successful race cars of all time and it has a cult following. Each new M3 chassis comes with more horsepower than the one before it but is also heavier. The last M3 (E90/92 chassis) is almost 1,000 lbs heavier than the first M3! The newer M3s may be faster around a track right out of the box but none of them have ever been able to duplicate that fits-like-a-glove, play-with-me-now feel that you get out of the original M3. I first met my buddy EJ at work some 10 years ago. We were working at the same company but did not know each other well at the time. One day I was putting in a call to buy brake pads for my upcoming track event and he apparently overheard some of the conversation and came over afterwards to ask me what that was all about. He was amazed that a regular guy like me did that kind of crazy stuff and risked his car and life at the track. We ended up trading cars for a day and I think driving my E46 325i corrupted him. Shortly thereafter, EJ got rid of his slammed Honda Accord and got a real car: a beautiful brand spanking new Blue-by-You Evo VIII! Here's an onboard cam video from the 1988 German Touring Car Championship (DTM) with E30 M3, Ford, AUDI, and Mercedes EVO in the mix. This is one of my favorite race car shots. It's Wild. Historic. Epic. Insanely Cool! In mind, this is the quintessential shot capturing balance in a race car. The 3.0 CSL looks and feels as if it just floats everywhere!!! 100 years down the road, even when cars really do fly, people will still be looking at this shot in awe. pole position in the ETCC round at the old Nurburgring in 1974. Lime Rock Park's Proofreading Contest Wins You Free Race Tickets!! Lime Rock Park is celebrating its 55th anniversary this year and they are running a Photographic Proofreading contest. First 55 people to figure out “What’s Wrong with This Picture” win two weekend tickets to Lime Rock Park’s Season Opener featuring Trans-Am & the Sunday Royals Car Show, May 25-27! This coming weekend is the 12 Hours of Sebring. This is a photo from the 1954 Sebring race. And there’s something “wrong” in the photo. Can you spot it? When you look at this photo, can you "read between the lines," so to speak? When I talk to people who haven't gotten the track bug yet, first thing they always want to know is "How fast do you go?" "About 142 on the back straight at Watkins Glen," I usually say and pause for the predictable "Whoa!" Engine oil, brake fluid, coolant, differential fluid, transmission fluid, and water. Car fluids easily make the Top 10 List of Things to Bring to the Track. To a car, they are just as important as water is to the human body. Neither will survive long without fluids. Insufficient fluids will seriously impair vital functions. Putting a car through the stress of a track event significantly increases the demands on the fluids it consumes. Bringing spares to top off fluids or flush them completely becomes very important. 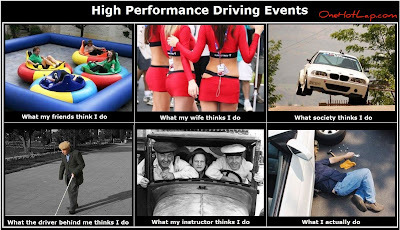 At a performance driving event, you will spend most of the time in the right side of the tach, especially close to redline where the vast majority of cars make their max horsepower. An engine spinning at 6, 7, 8k RPMs will burn some oil, especially turbo cars and older cars with high mileage on the engine. It's not unusual for my '01 BMW 325i with 170,000 miles on it to use 1 1/2 quarts of oil over a 3-day weekend. So I bring two spare quarts when I take it to the track for "exercise". Two very different cars, fun twisty track with elevation changes, close battle, good passing, what else can you ask for in a track video? The drivers' lines are not perfect, the braking points are a bit off, the steering wheel is way too busy but none of that makes it any less fun to watch this cool chase. These guys are just amateurs having fun at a track event like most of us here. And hey, even paid drivers are not nearly perfect - check this GT3 vs. 1-Series chase from the Dutch Supercar Challenge. If Heaven Exists, This is How I'd Like It To Look!! The days are getting longer, the temperature is back in the 50s, and the Coupe is off the battery tender. This story starts with Lamborghini donating two Gallardos to the Italian police. Here is the official unveiling of the brand new Lamborghini Gallardo Polizia, one of only two high speed patrol cars in the Italian police force, needed to catch speeding drivers. Pretty cars, pretty uniforms, very stylish, totally Italian! You have probably seen Formula 1 cars weaving during the warm-up lap and under caution. That's because their tires are engineered for very high temperature and their performance degrades significantly when they are cold. And the 2011 SCCA Jim Fitzgerald Rookie Of The Year Award Goes to Eric Heinrich!!! Maybe both manufacturers use the same market research agency that told them black with red stripes is in right now? The two cars are also very similar in concept: small, sporty, top of the line for the model. I totally dig the color scheme on the Abarth and I'm still hoping that supersexy model wearing matching color scheme comes with the car! Yes, "I'll never forget the first time I saw her!" Not to be outdone by our friends out East, OneHotLap-West completed its second karting enduro. The Annual Northwest Alfa Romeo Club (NWARC) Karting Enduro Challenge has become a Winter tradition in the Seattle area. It's the perfect off-season get-together for gearheads looking to brush the dust off their race suits. Now in its fifth year, it has become a very competitive event attracting mostly hard-core track junkies. This year's race was held at Sykart in Tukwilla, WA, just a short drive from Seattle. Noah Shinn, owner of Seattle-based Cohesive Garage, captained our Team Cohesive and did the opening stint. Check out the wild Le Mans-style start to the race. We drew 7-th slot on the grid in the pre-race lottery and Noah was able to move up 3 positions right at the start!